And they’re off….support our horses in the race! Home of Therapeutic Riding, Inc. 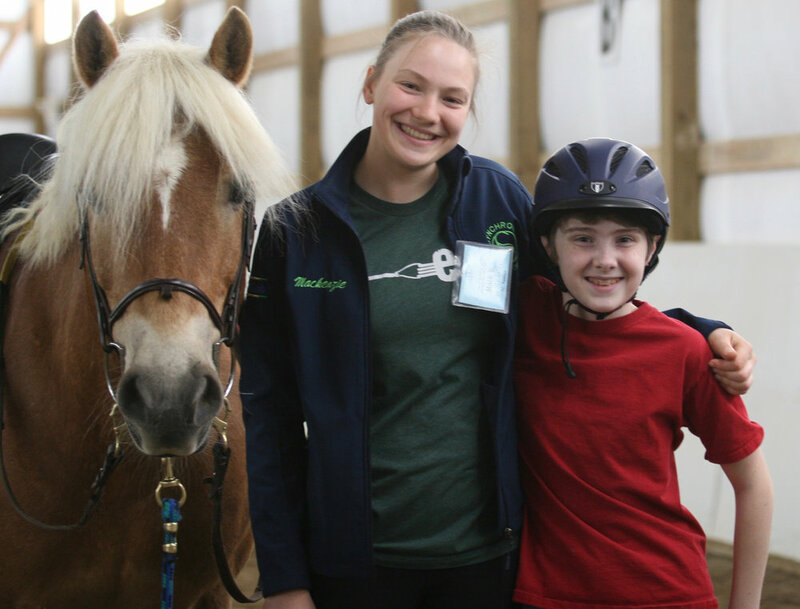 Founded in 1984, TRI’s mission is to provide a therapeutic environment through horseback riding and other activities for people with disabilities or other challenges. Our participants come from Washtenaw and surrounding counties. They range in age from 4 years old into their 90’s and have a wide variety of disabilities or other challenges. Ask our riders and they’ll tell you that riding is FUN! However so much more is going on. Not only are our riders forming a special bond with their horses, but they are improving their balance, strengthening their muscles, improving their communication and social skills, all while working on their personal and riding goals. These things work together to improve self-esteem and confidence in all other areas of their lives. Therapeutic Riding, Inc. is proud to be a PATH, International Member Center and a USEF/USPEA Para-Equestrian Dressage Center of Excellence. We could not provide this amazing program without the assistance of over 100 volunteers every week. Volunteers share in the success of their students, and make a difference in someone’s life. Stay up to date on the happenings at Therapeutic Riding, Inc. We have 4 seasonal editions each year plus an occasional special edition. We do not share our mailing list. Sign up now! Therapeutic Riding, Inc. is a volunteer-based, 501(c)(3) non-profit organization. We rely on the generosity of individuals, community businesses, and foundations to help us provide our services.